Tunsil, is pretty much the consensus #1 pick in this years draft. 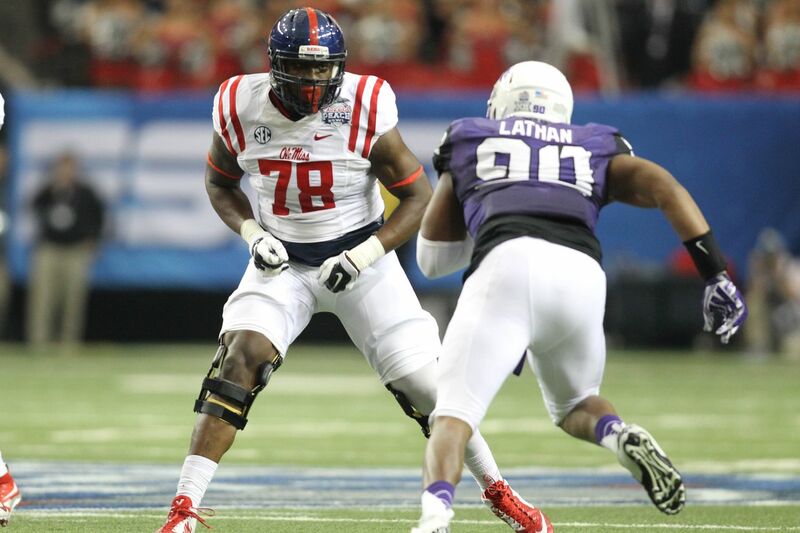 At 6’5 310, Tunsil has elite size to go with great footwork and a strong base. Uses his 10″ hands and 34 1/4″ arms to his advantage with the best of them punching pass rushers first. Not an mauling run blocker, will need to gain bulk in the NFL. Tunsil faced some legal and NCAA issues throughout his time at Ole Miss, including a 7 game suspension for receiving “impermissible benefits”. Tunsil, also has a bit of an injury history but nothing serious. 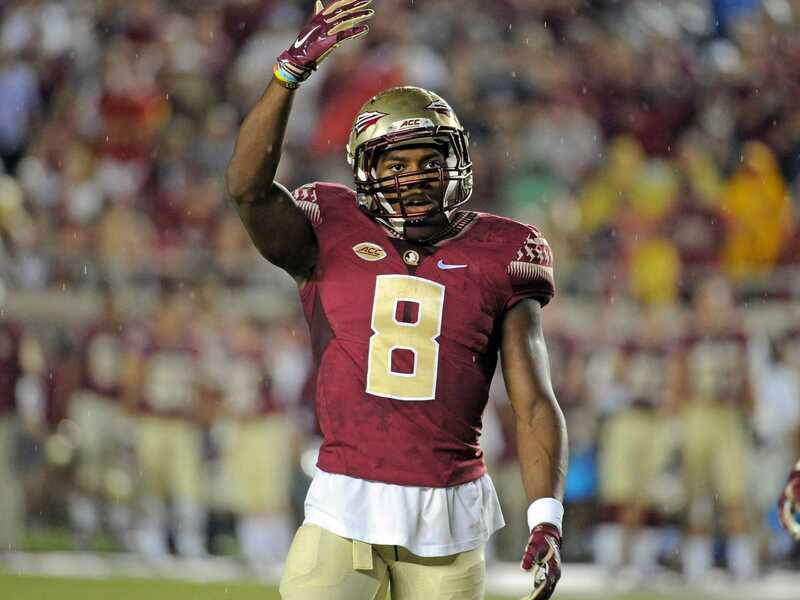 Jalen Ramsey, DB Florida St.
Ramsey, is the top corner and one of the best athletes in this years class. 2015 ACC Long Jump Champion, Ramsey ran a 4.41 40 yard dash, 41 inch vert, and 11’3″ broad jump. Standing at 6’1 209, he is your prototype press corner that can really lock on with his 33 3/8 arms. The knock is his playmaking, as he’s only had 3 career interceptions. Ezekiel Elliott, RB Ohio St. The former Buckeye has the type of size, speed and quickness you look for in a 3 down back. Has the type of quick feet and good hands you look for in a RB in today’s NFL. Doesn’t back down from contact, which could be an issue against grown men, also had to carry a huge workload the last two years. Not the type of elite ability of Todd Gurley, but could definitely have a bigger impact from day one. Elliott, like most Ohio State players, does have a little bit of maturity questions. 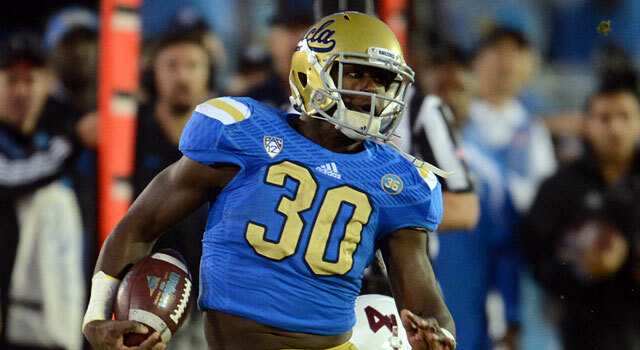 I put RB, because Myles Jack can be a legitimate starting Running Back in the NFL. Most likely, he will be lining up at Linebacker in the NFL, but Jack is one the most versatile players we’ve seen in the past 10, 15, 20 years. Jack, is best suited for a WILL Linebacker, let him run free and make plays with his elite athleticism and tenacity. At UCLA, he lined up at slot corner, safety, linebacker, as a pass rusher, and carried the ball effectively on offense. Despite not playing since late September with a knee injury, I’d be shocked if Jack wasn’t drafted in the top 10.